In a surprise drop, Nintendo have announced that the first character in the Super Smash Bros. Ultimate Fighters Pass, Persona 5’s Joker, will be available today as part of the game’s Update 3.0. Check out the 15-minute video below that showcases Joker’s moveset, along with the Memories Stage. The Joker DLC will come with the stage, along with 11 tracks taken from Persona 3, 4 and 5. The DLC alone will cost $5.99 as a stand-alone, but of course is available as part of the $25 Fighters Pass. There’ll also be a Round 1 of Mii Fighter costumes that’ll be available for $0.75 each, with plenty of Persona outfits, plus costumes of Knuckles and Tails. As for the rest of Update 3.0, players will be given access to a video editor, along with the already leaked Stage Editor, with players being able to share their creations online for others to play. The example of the Nintendo Switch stage in the trailer is the bar that’s been set, so it’s on you guys to top that. 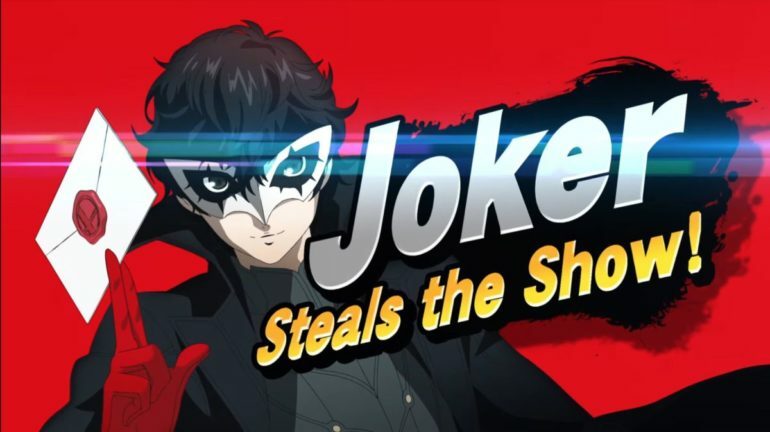 Are you excited for Joker and Update 3.0? Let us know in the comments.